Just in case the first two tracks by Hovie produced by Timbaland this week, Off That and Reminder weren't enough for you, here's a third track by the unstoppable duo this week called Ghetto Techno. I knew making the early proclamation that the Drake, Lil Wayne, Kanye & Eminem collabo was going to be the song of the year was going to haunt me...because this track is NUTS! I dunno what Timbo was thinking when he made this beat, but it's the most attention grabbing/in your face beat that he has produced in recent memory. There's so much fast paced organ laced elctro-percussion that the beat not only encourages you to dance, it compels you to bust a move. Undeniable club appeal to this heat rock with all of the bottle popping and shot taking talk throughout the track. 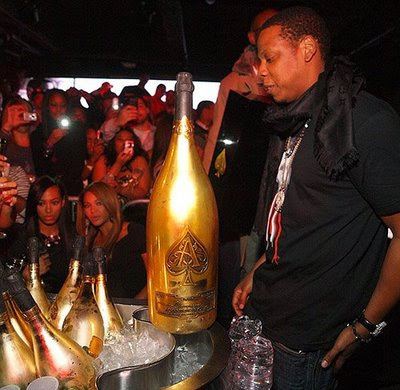 Ever since the whole run in with Cristal boss Frédéric Rouzaud over racist remarks in 2006, Jigga has been doing his absolute best to get behind this new, up and coming, pricey champagne. Intro: "If you on that Ace, get ready to spray the club"
1st verse: "Southpaw I'ma outlaw, Ace of Spades comin out of my paws"
2nd verse: "Me I'm doin' me I'm just goin hard, got a table full of Ace like a deck of cards"
End of Track: "Johnny, Patron..haha..we got 'em...Hey I'm need a Methusalem, not a Magnum, I need a Methusalem, I need a bottle that's like...tall as a 6 year old"...haha that's great. 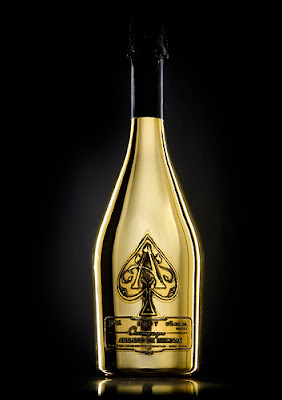 And in case you need to be schooled on the difference between a Magnum champagne bottle (1.5L) and a Methusalem bottle (6L) get your knowledge here. "We mix the Patron with Cham-pagne washin away our sorrow, cause we don't wanna feel the damn pain, I hope I'm hung over tomorrow, cause we don't wanna feel a damn thing!" 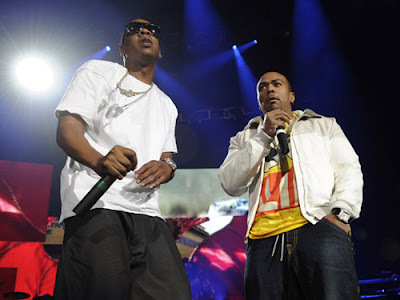 "Honey's white but she dance black, had ask little broad how she dance like that"
"But I ain't doin' nottin I can give back, I know half the club wanna Twitter that"
Jay-Z - Ghetto Techno (prod by Timbaland) Fiery Hot!! !